He had no SEC title game to play in this week, and he’d just turned 21 on Dec. 6. So what else would you do if you’re Johnny Manziel except head to Las Vegas? TMZ found the Texas A&M quarterback playing – appropriately enough having freshly become 21 – blackjack. Word is he and some friends played for about an hour at the Hard Rock Hotel casino. 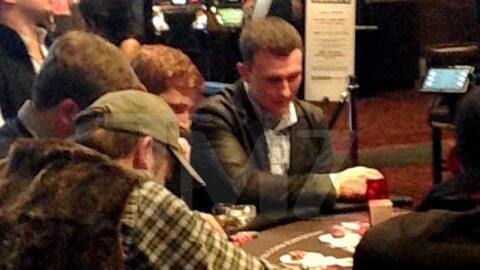 In this photo from TMZ, Johnny Manziel reads the defense at the blackjack table at the Hard Rock Hotel in Las Vegas. Just as importantly, the Heisman winner marked the occasion of his milestone birthday by breaking his self-imposed Twitter silence. Not that he had much to say, but still, we like to keep track. 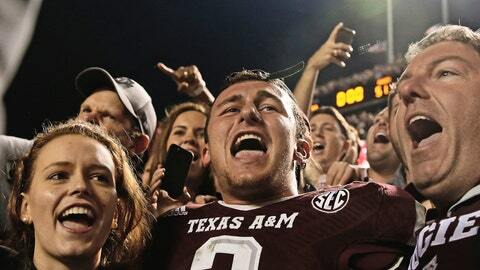 Hey, he’s still Johnny Football, after all.